Dr. Layke's formula combines new anti-gravity technology of Idealift with 5 other powerful natural ingredients to take years off your appearance. Important Update: Due to high demand, we've created the Inner Circle program. You'll enjoy convenient, free monthly delivery and priority access to our limited inventory so you always have a fresh supply of Lift + Firm Sculpting Cream...and...even bigger savings. We spent years researching and perfecting our formulation to deliver the best possible Lift + Firm Sculpting Cream. 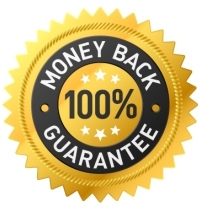 That's why we're so confident that you'll love your results - and we're willing to back it up with a guarantee. 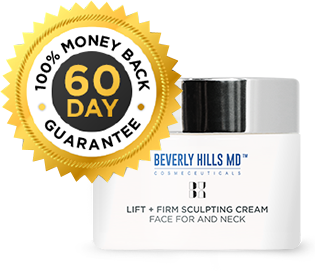 If you are unsatisfied with Beverly Hills MD Lift + Firm Sculpting Cream for any reason, simply return it within 60 days for a full refund. Yes! I want to join the Inner Circle. Beverly Hills MD Lift + Firm Sculpting Cream’s advanced formula takes skincare technology to the next level. A sophisticated combination of powerful ingredients works from the inside out to restore and enhance your skin’s natural support structure. Beverly Hills MD Lift + Firm Sculpting Cream diminishes the appearance of the sagging, drooping skin that comes along with aging. It all depends on the amount of area you want to cover. If you’re just looking for a little lift on your jawline, start with one bottle and see how it works for you. If you plan on taking care of your full neck and décolleté areas, a bottle can go quickly, so you may be better off trying our 2- or 3-bottle packages. These larger orders reduce the cost per bottle and, of course, are also fully covered by our 60-day full money-back guarantee. 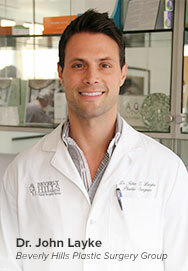 Dr. John Layke, DO is a practicing plastic surgeon with the Beverly Hills Plastic Surgery Group. He received his training at the Long Island Plastic Surgery Group, the largest and oldest private practice group in America. 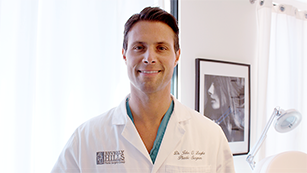 Dr. Layke is board certified by the American Board of Surgery and the American Board of Plastic Surgery. What are the main ingredients in Beverly Hills MD Lift + Firm Sculpting Cream? Idealift™: contains newly specialized anti-gravitational peptides that help stimulate the production of new elastin, plus 5 other essential skin-supporting molecules. By improving skin’s overall architecture, this ingredient helps give skin a more sculpted look. Beverly Hills MD Lift + Firm Sculpting Cream uses a unique, sophisticated blend of safe and powerful ingredients that work to enhance skin’s support structure by facilitating its natural rebuilding process, providing immediate results that last. 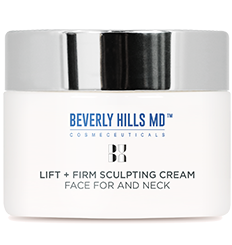 Apply Beverly Hills MD Lift + Firm Sculpting Cream evenly over the face and neck up to two times a daily. Place a small amount onto the base of freshly cleaned fingertips and gently massage into skin in an upward, circular motion. Is Beverly Hills MD Lift + Firm Sculpting Cream tested on animals?